2) Choose your color: Shown are the Rust & Black, and Brown & Black options. The color of the hardware can be either silver, gold, or antiqued brass. If you have a preference on the color of hardware, mention it in the text entry box at checkout, or send me a message. 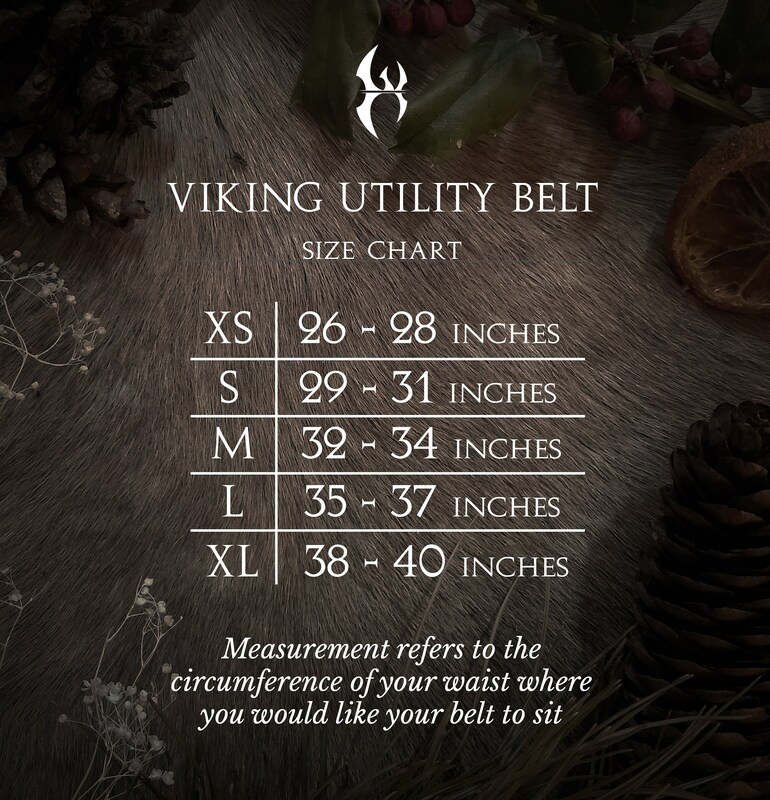 3) Choose your size: Refer to the size chart in the listing photos. 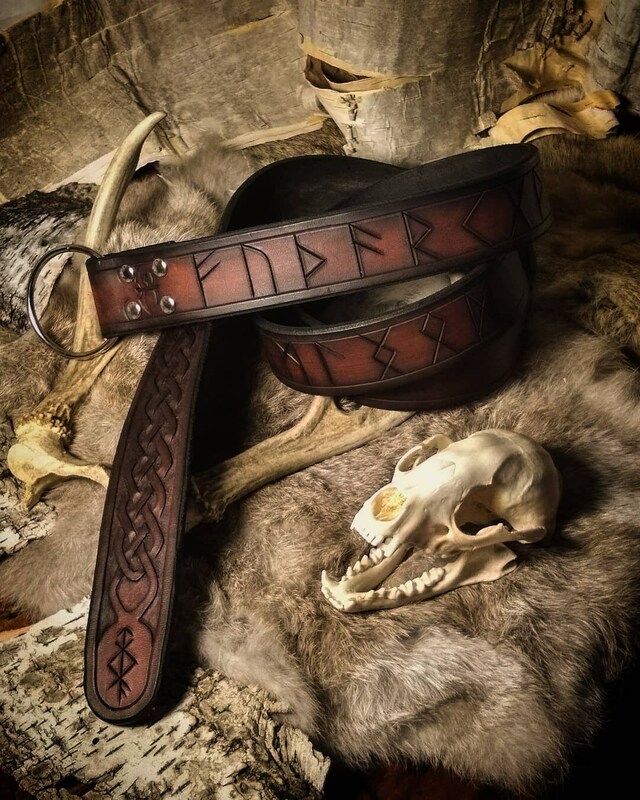 You can choose up to three runes to be carved in your belt, either as separate runes, or a bindrune. 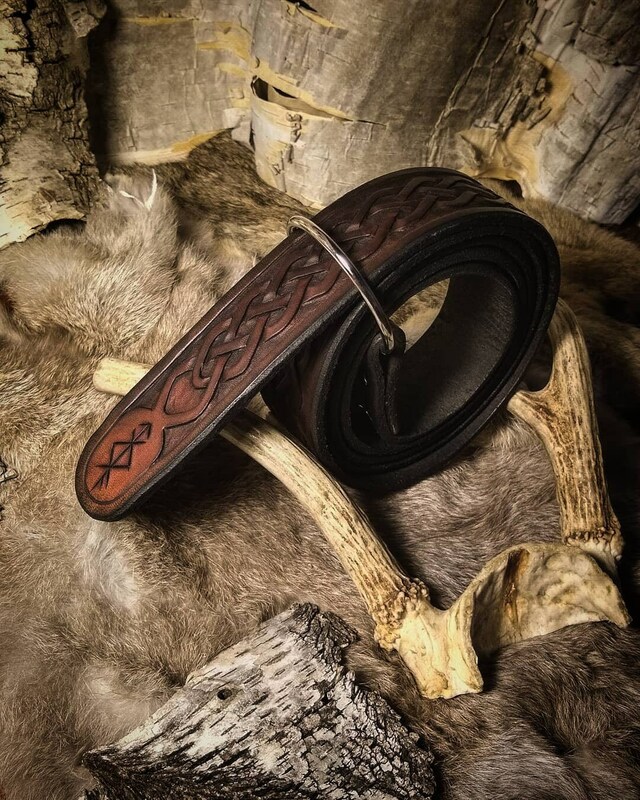 This runic inscription or bindrune will be carved into the very end of your belt, in a cohesive design. 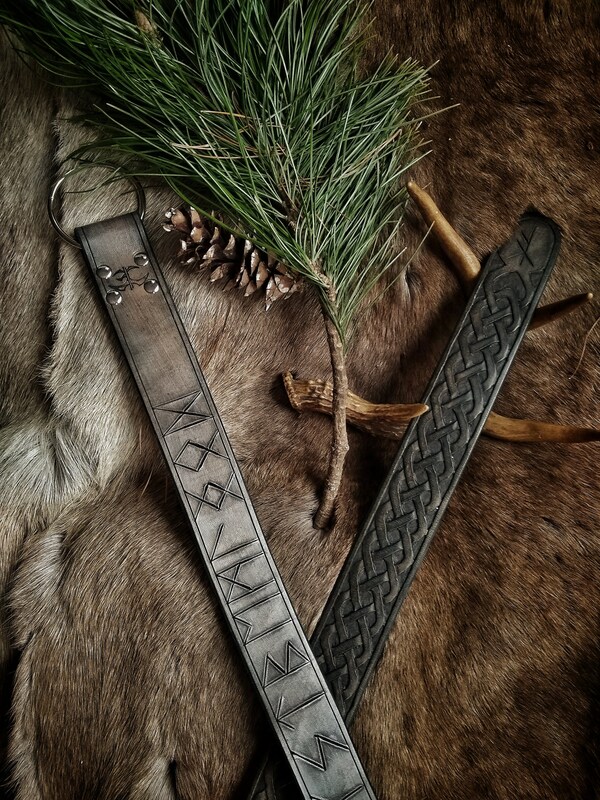 A bindrune is a symbol that is made up of multiple runes, generally used as a symbolic, protective, or ritual charm. 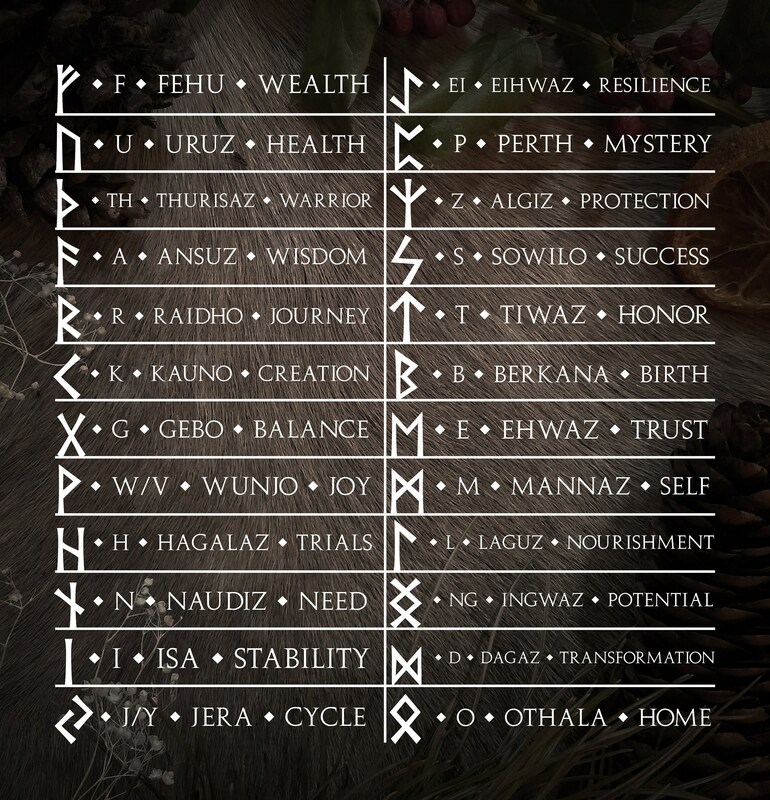 Shown is a bindrune pattern made up of the runes Algiz, Othala, Ansuz, Wunjo, Lagaz, Kauno, Tyr, Raidho. 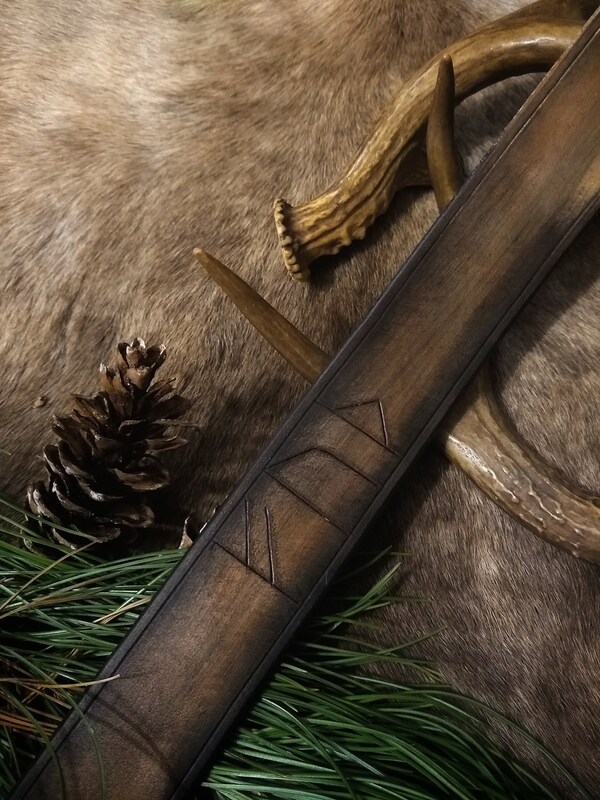 If you do not specify a rune or bindrune, I will carve a rune or bindrune of my choosing, and give you a detailed explanation of its qualities. 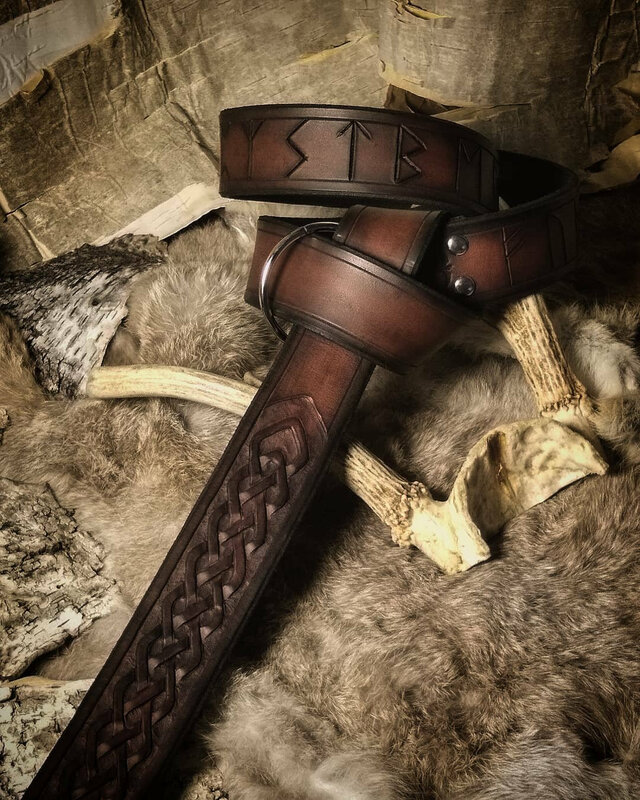 You can also simply tell me the intended purpose or story of the piece (protection, health, prosperity, courage, etc) and I will choose the rune or bindrune best suited to your purpose. 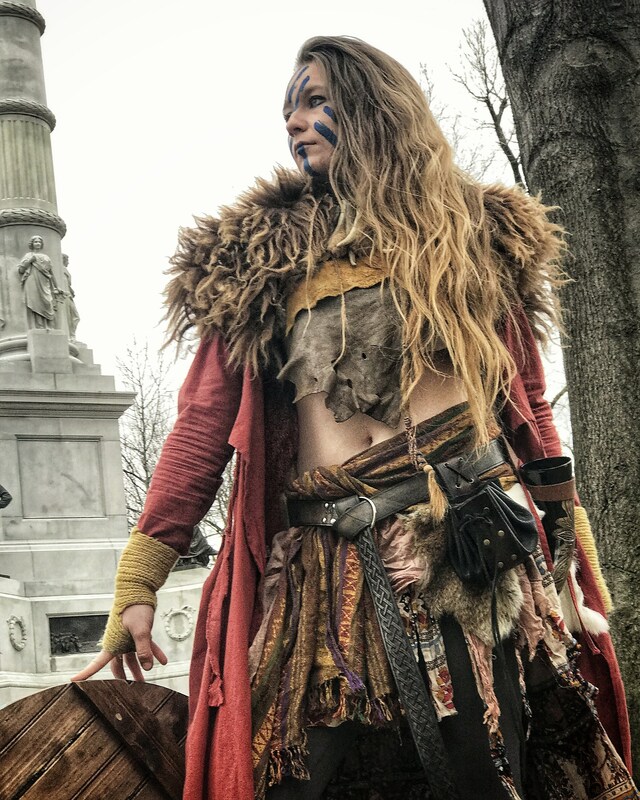 I love making pieces that tell the story of a character or the wearer! Very friendly, dedicated and talented artist. The belt looks great, fits and is as gorgeous as promised and I will wear it with joy and pride and hope to forget soon that shipping and custom fees/taxes added another 70 Euros to the price. Thanks again for the beautiful accessory, Marin!